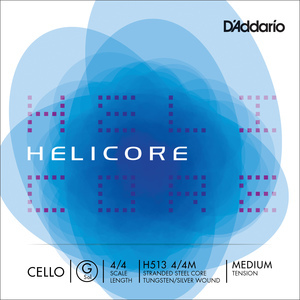 The market leading professional cello string. Stainless steel wound in 3 tensions and fractional sizes. Excellent service - will definitely visit again. 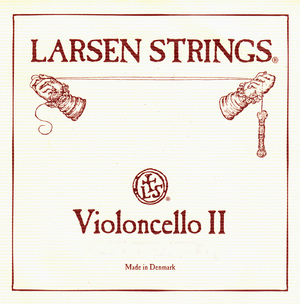 Pros: I have always used Larsen string. Recently I bought a cello which had a wonderful rich, mellow tone on the D, G and C strings. The A sounded a little harsh with Larsen medium. I changed the A for a Larsen soft, and the tone across the instrument is now much more balanced. Cons: There were no cons - this string did exactly what I wanted. Other: I would recommend Larsen as they are reliable and provide the best tone. Thestringzone.com is to be highly commended. I opted for economy delivery, but the string arrived the following day. Pros: I bought a Larsen cello string A about 2 months ago and have found it to be much brighter and clearer than my old string (dominant)......very pleased with it and delivery was next day. Cons: Nothing to say against the string at all........very pleased with it. Larson vs Dominant for beginner instruments. Pros: A lovely mellow sounding string which seems on face value very forgiving of my novice bow technique. Lower tension than the dominant which is also nice on the fingers and it seems much more responsive in comparison with the dominant too. Cons: Not much to dislike really from my standpoint. Being an pro electric bassist I would definitely say the price is astronomical considering I can restring my 5 string bass with quality strings for around the same price as this single but I see that they are also cheap in comparison with other strings on the market. 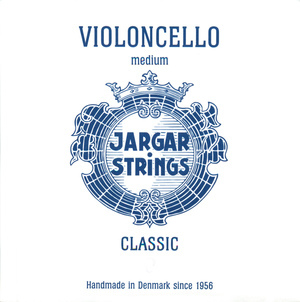 I would guess that if your instrument has a mellow sound to start with then the Larson A I bought might not be the string to use, maybe making it a little dull. That is however purely conjecture. Other: My cello is a very cheap beginner instrument which is, I'm told by an experienced player, set up very well and not a bad example. 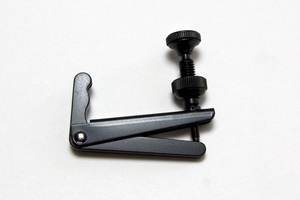 Being a cheap instrument however means that it does have a harsh/ strident sound by nature. The dominant set a I put on it sorted the sound out to some extent but after using the Larson A I can definitely say I will be replacing the other 3 with Larson. Pros: Great tone. Bright and clear. Other: My cello had Larsen's on A and D when I bought it two and a half years ago. I probably ought to have had them replaced sooner and the difference between old and new is startling. Great strings but take when putting them on ! If you can afford them buy them! Pros: A good quality string giving an even tone. You get what you pay for and these strings deliver the goods! Cons: Not as loud as Jarger strings but easier to play! Great string, very happy with it. 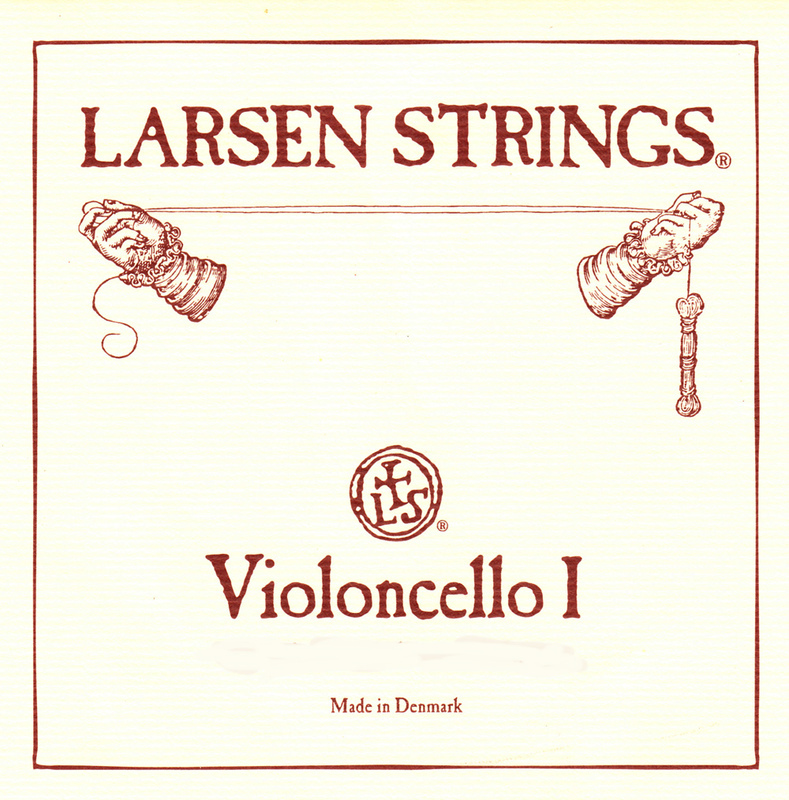 Pros: Great string, I recommend Larsen over all to any player at any level. It produces quite a proud tone with inherent warmth. Other: I got Larsen A and D strings to compliment my G and C as I mostly play amplified at live venues, Larsens as a whole are very good (the best I've found) for players who are amplifying their instruments. Other types of strings don't seem to be picked up as well. Pros: This has amuch kinder sound, and still matches the other strings, although they are medium, and this one is soft. Pros: Like the sound it produces.